Without a doubt, northern Norway is one of the most spectacular places we have been. 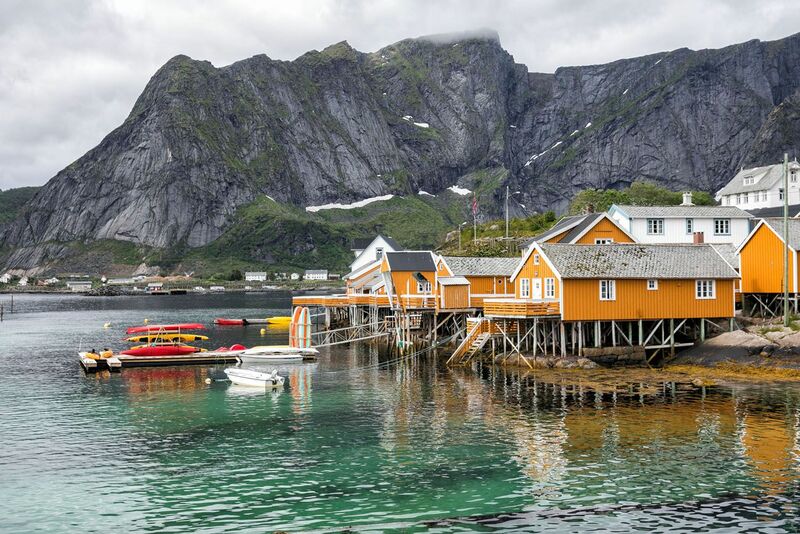 With rugged coastlines, small harbors filled with picture-perfect red fishing cabins, winding roads through the mountains, and beaches that look like they belong in the Caribbean, northern Norway is a delight to explore. 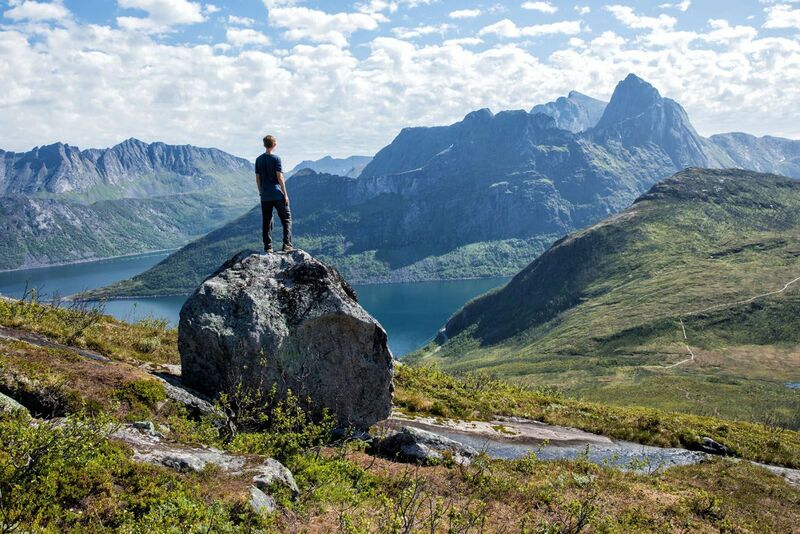 We spent just over one week road tripping through northern Norway. Our journey started in Tromsø. From Tromsø, we drove south through Senja and the Vesteralen Islands, ending in the Lofoten Islands. 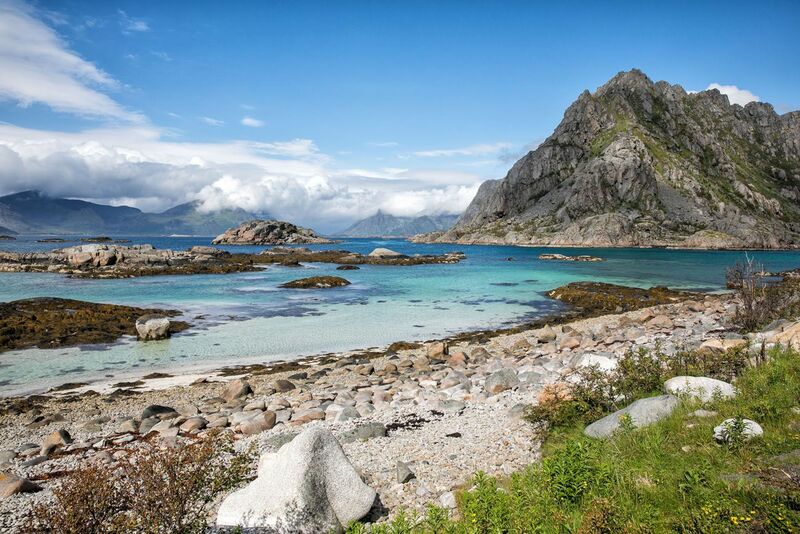 Yes, the Lofoten Islands are gorgeous (as you will soon see), but the less popular Vesteralen Islands and Senja are just as beautiful. 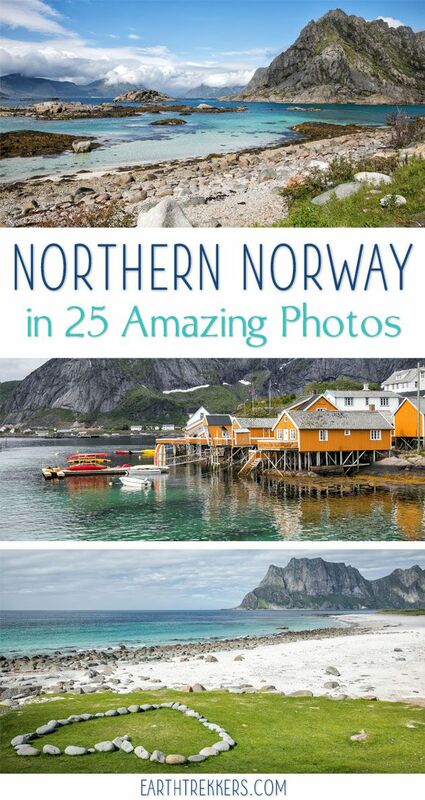 So, in no particular order, here are some of our best photos of northern Norway. 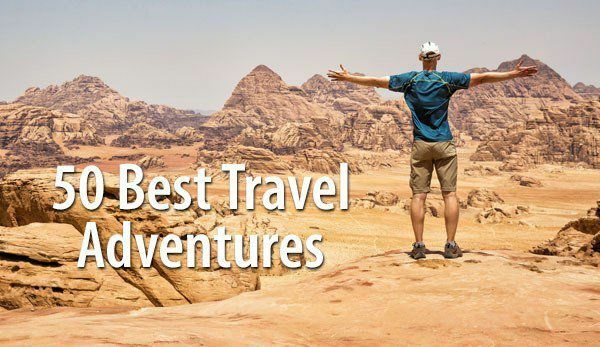 We hope they inspire you to visit this gorgeous place and explore the less popular but just as beautiful Vesteralen Islands and Senja. 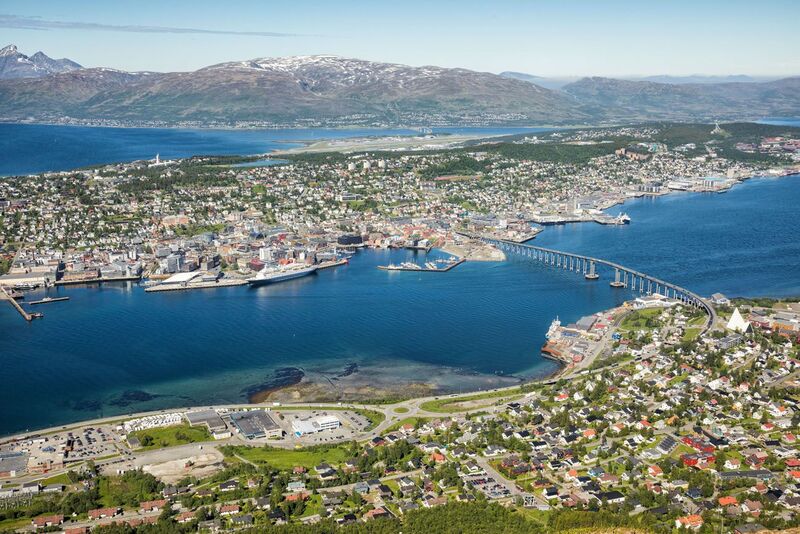 This was our introduction to northern Norway…overlooking Tromsø from Fløya. Tyler, overlooking the island of Senja during our hike up Segla. 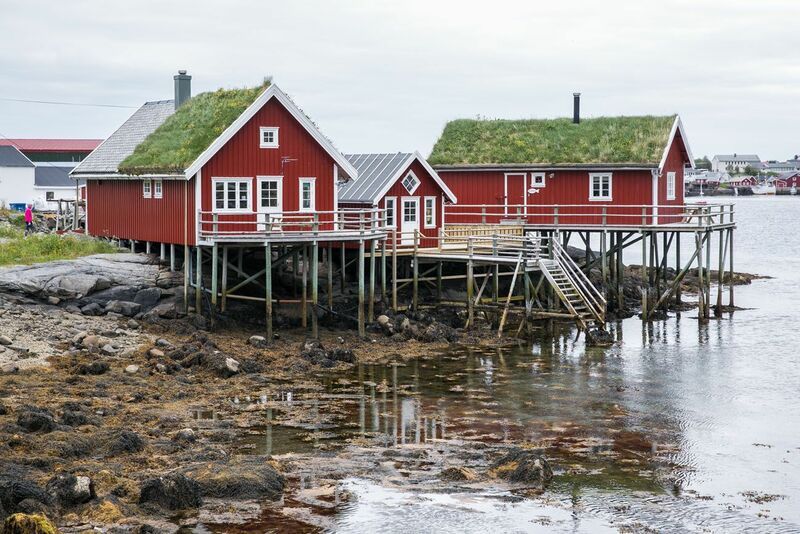 Red fishing cabins, also called rorbuers, in the Lofoten Islands. 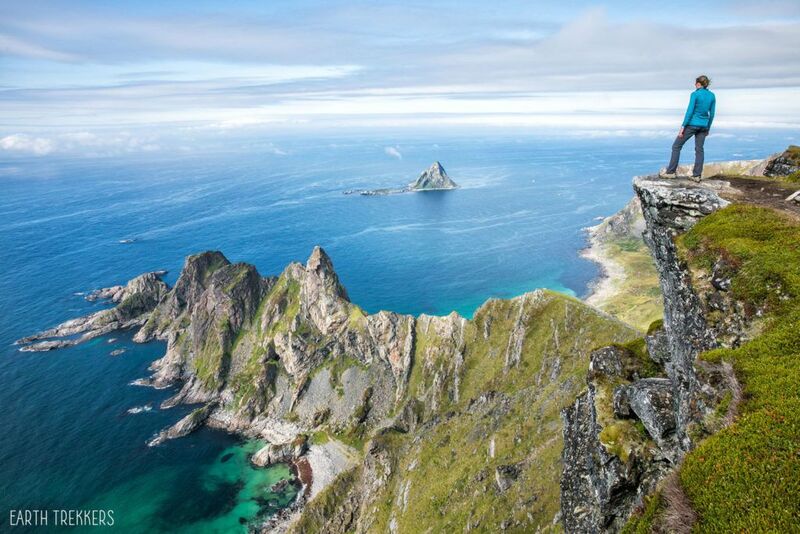 Just your typical view while driving through the Lofoten Islands. Nice place for a road trip, don’t you think? Just down the road from Svolvaer in the Lofoten Islands we found this pretty little lake with a very nice view. 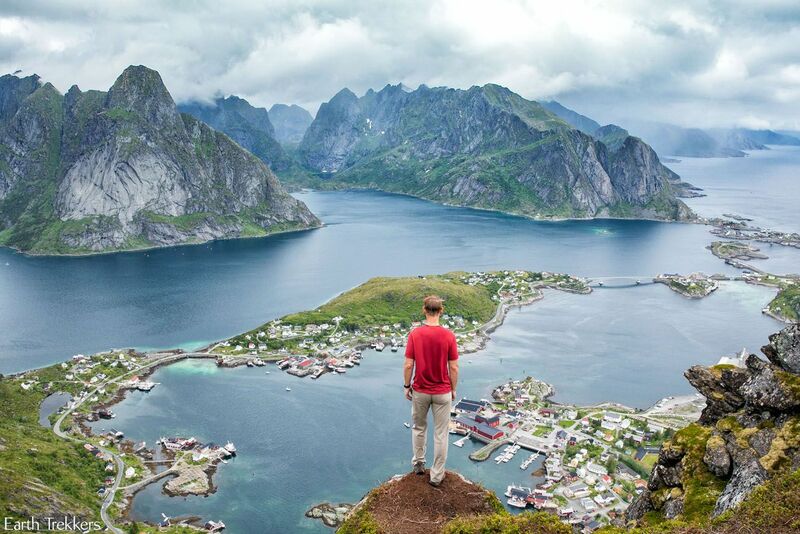 Tim’s view from Reinebringen, one of the most popular hikes to do in the Lofoten Islands. This is Høyvika Beach on the Vesteralen Islands (seen from Måtind). Here is another view of Høyvika Beach, the coastline, and Kara, taken from the top of Måtind. The beaches here are gorgeous!! 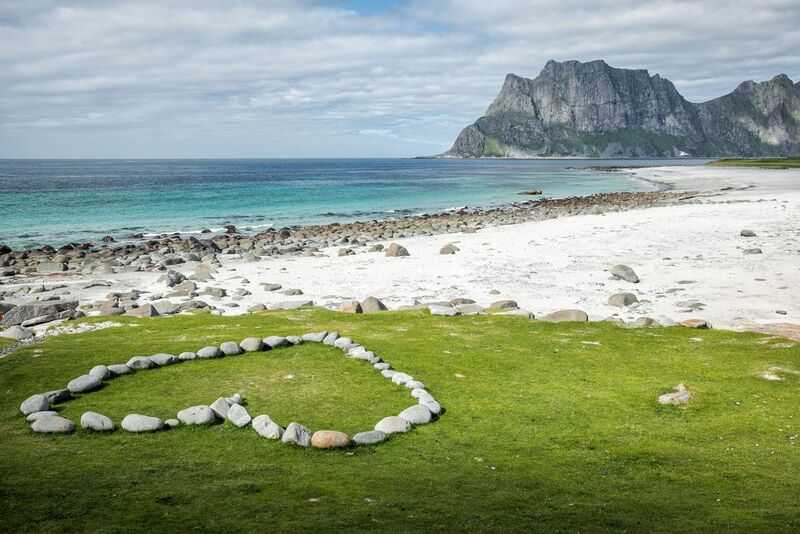 This is Uttakleiv Beach in the Lofoten Islands. 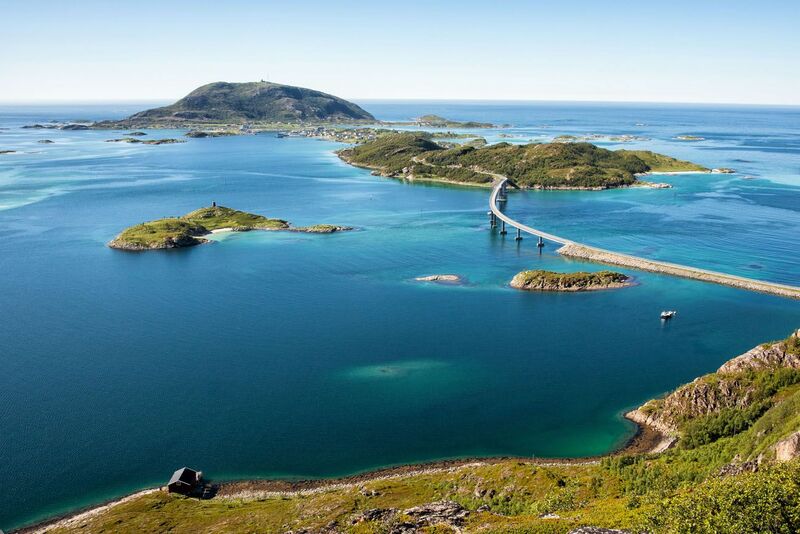 And this is Ramberg, also on the Lofoten Islands. 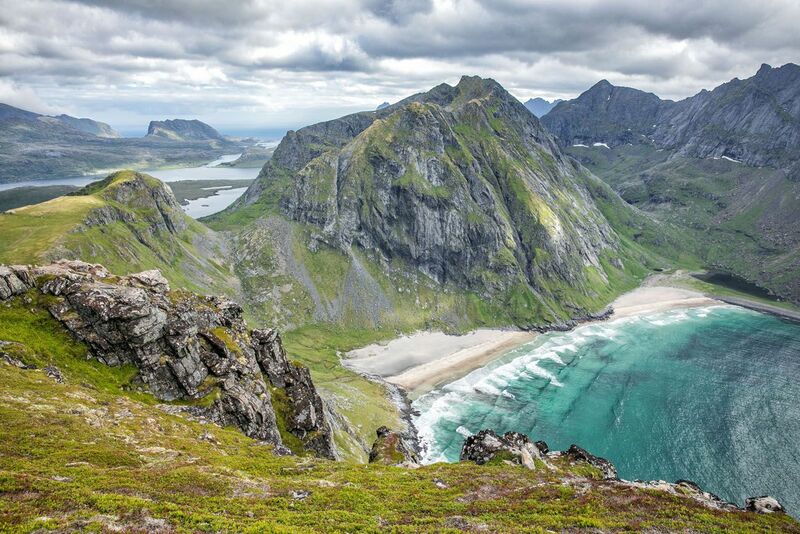 Finally, this is the view of Kvalvika Beach, seen from Ryten in the Lofoten Islands. I love the red fishing cottages. This was taken from the ferry stop in Brensholmen, on the way to Senja. 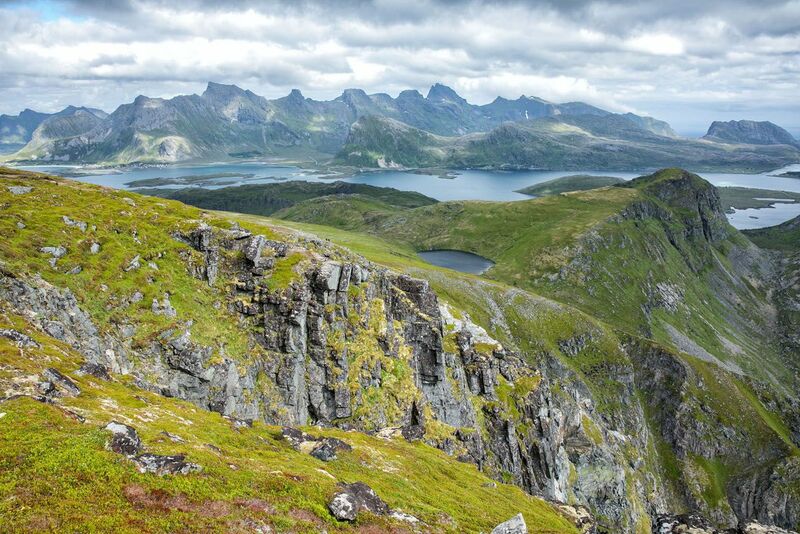 If you like hiking, put northern Norway on your list! 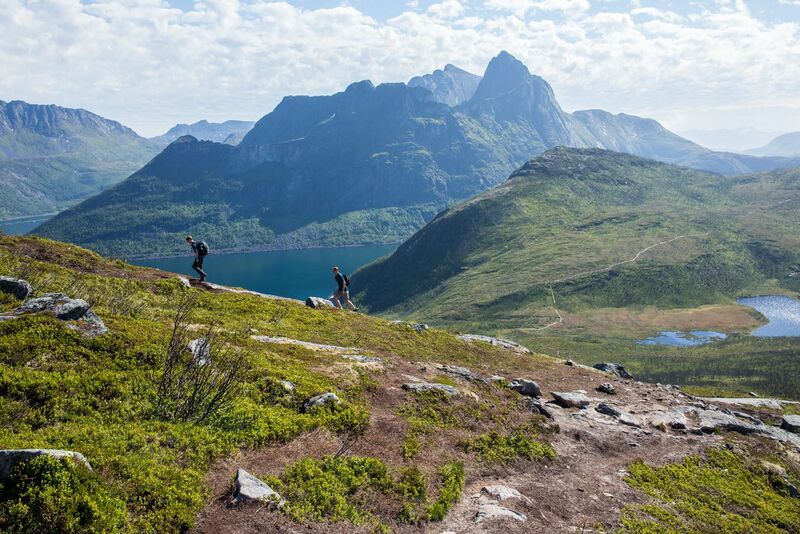 There is no better way to explore Norway than putting one foot in front of the other on a hiking trail. 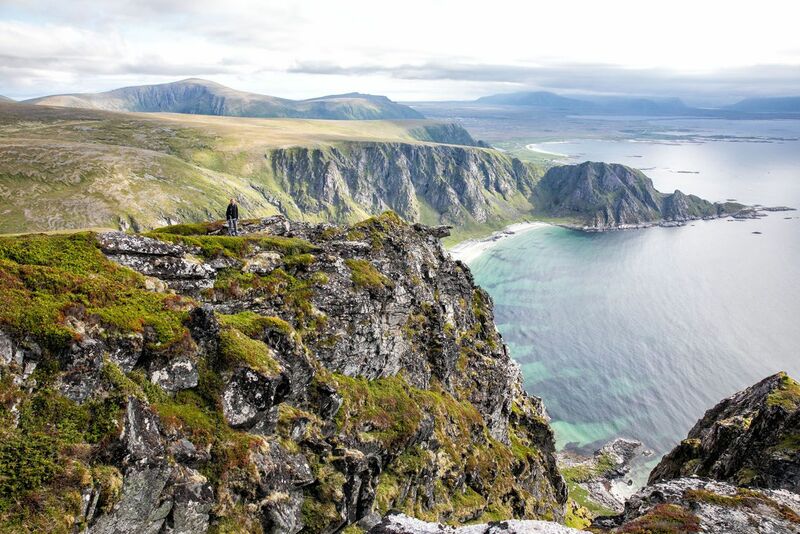 This photo was taken on the island of Senja on the hike to Segla. 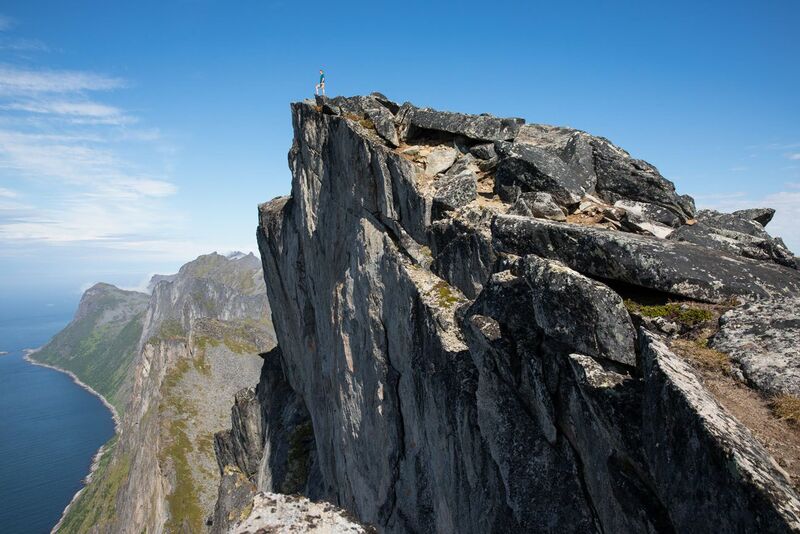 When you hike in Norway, you can stand in all kinds of crazy places, like Tim on the top of Segla. Or Tim on the hike to Ryten. Or me from the top of Måtind. 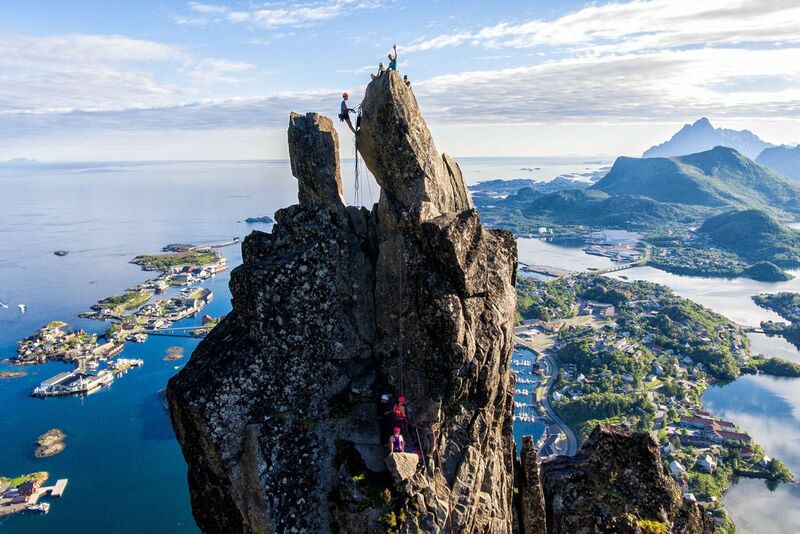 We also took the opportunity to rock climb Svolvaergeita, one of the coolest things we have done in Norway. Kara and I are sitting on top of the rock and Tyler captured this photo with our drone. 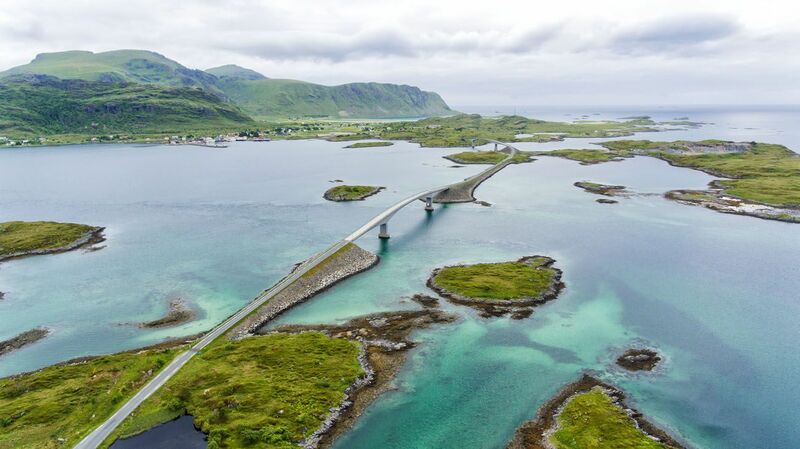 Here is a view of the Fredvang Bridges in the Lofoten Island, taken by drone. And here is a view of Segla, also taken by drone. 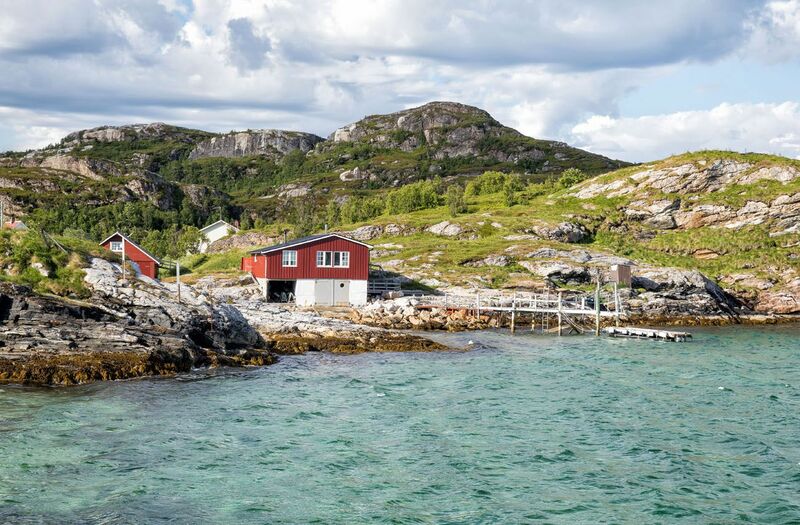 This is a view of Sommarøy, an off-the-beaten-path destination just a short drive from Tromsø. 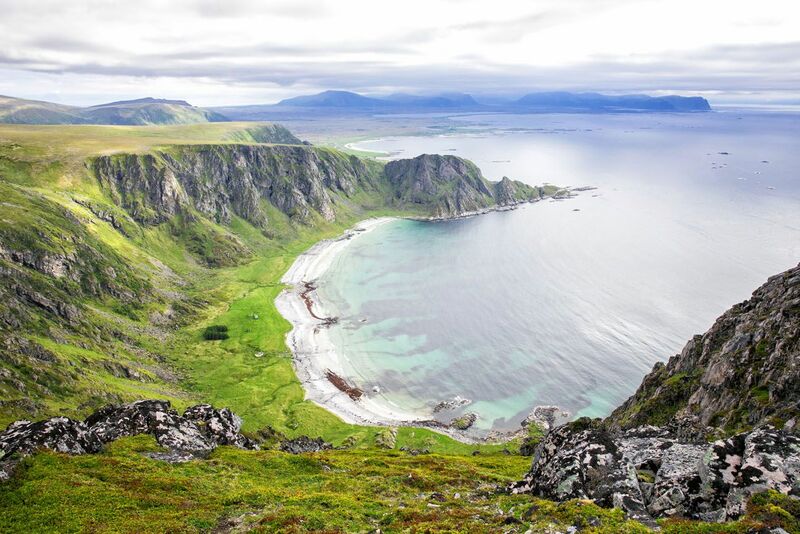 The hike to the top of Ørnfløya is short and sweet and this view is your reward. 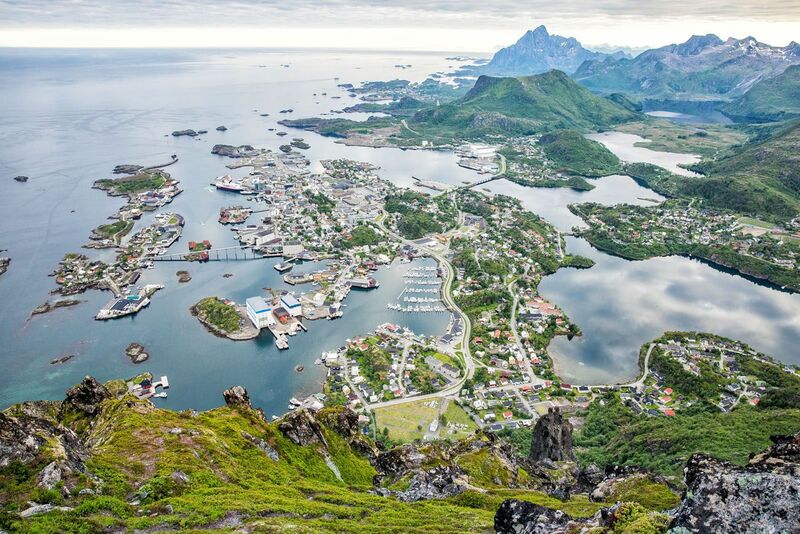 In Svolvaer, you can also hike to a viewpoint for the best view over the city. In the summertime, the sun never sets, so you can hike all night long if you wish. This photo was taken at 9:00 pm! 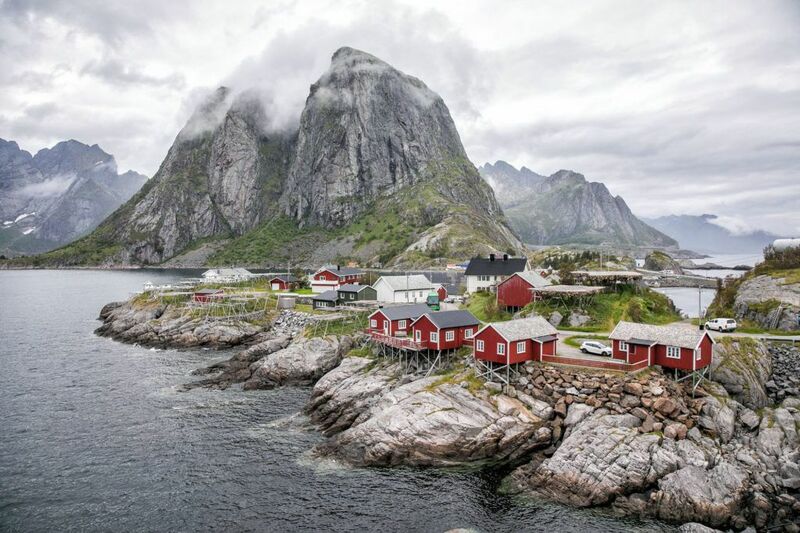 In Norway, towns are clustered on the shore of the fjords, like Fjordgard on Senja. More fishing cottages in Reine. The view over the Lofoten Islands from Ryten. 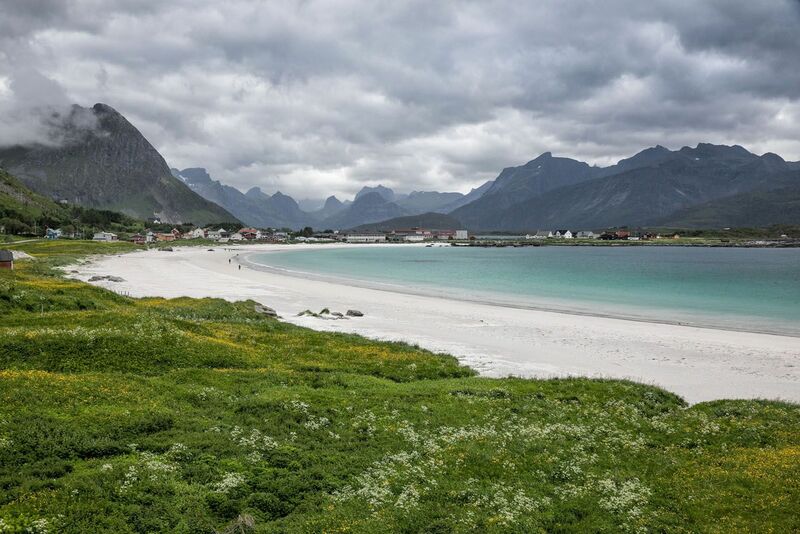 And finally, one last view…another spectacular beach while driving through the Lofoten Islands. 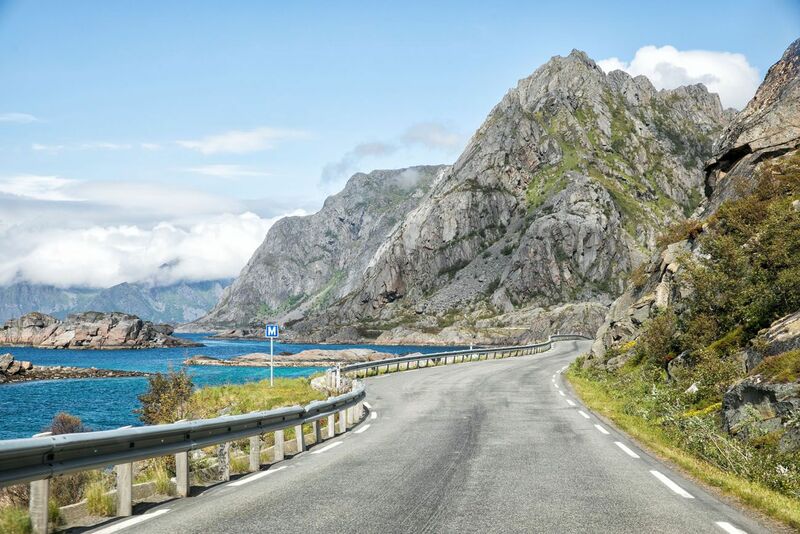 Check out our road trip through southern Norway. 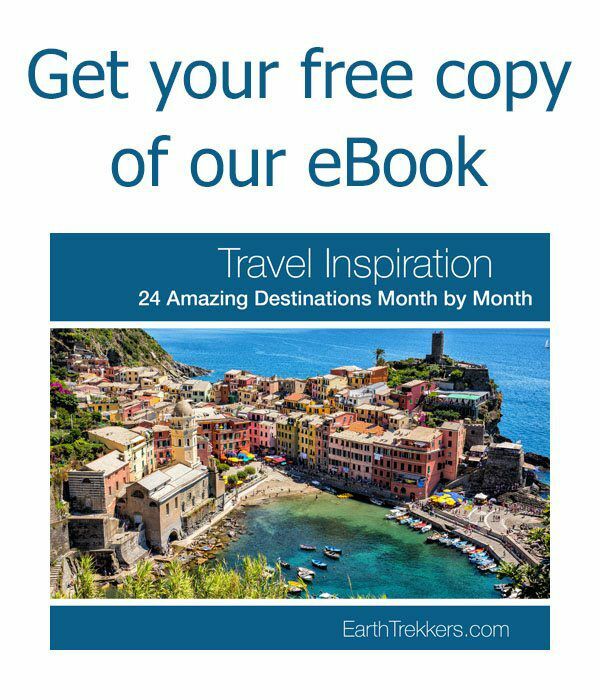 Visit Oslo, Bergen, Stavanger, Geirangerfjord and hike to Trolltunga, Pulpit Rock, and Kjeragbolten. 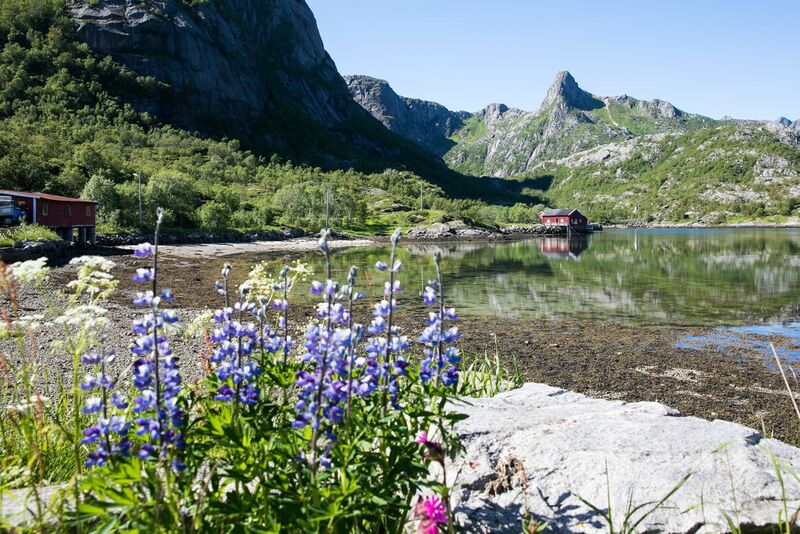 Finally, learn how to combine the Lofoten Islands and southern Norway into a 10 day holiday. 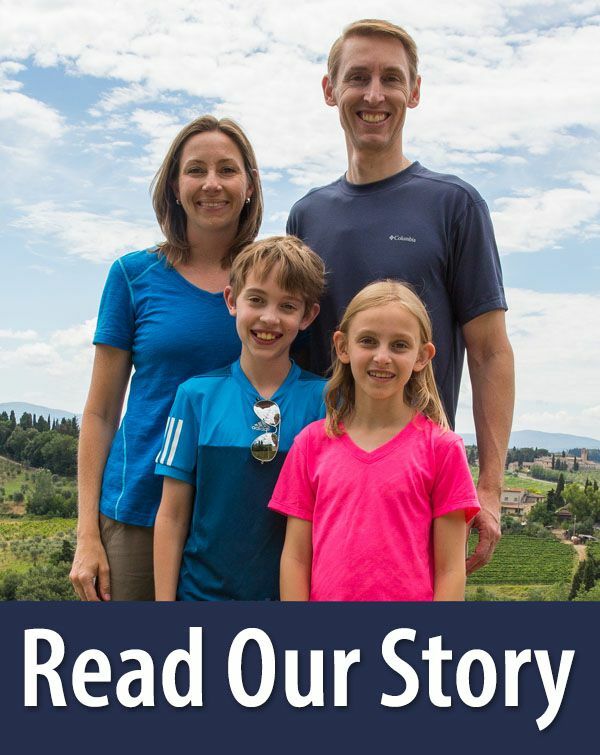 Did we inspire you? 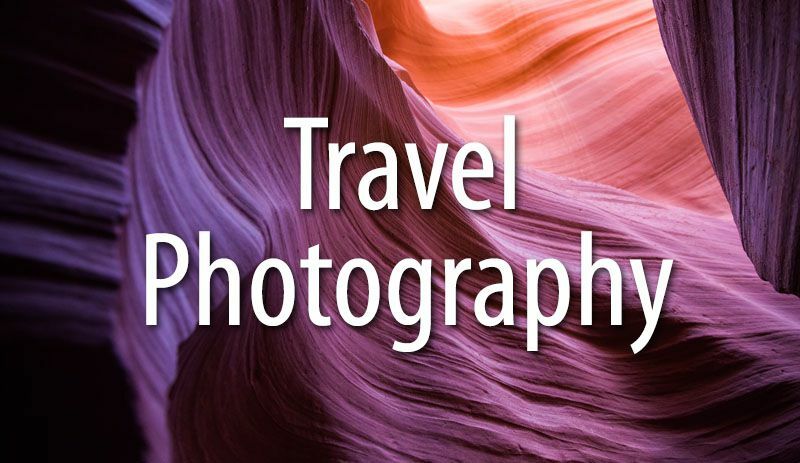 Comment below if you have any questions about visiting northern (or southern) Norway! Fantastic views of another wonder of the world. 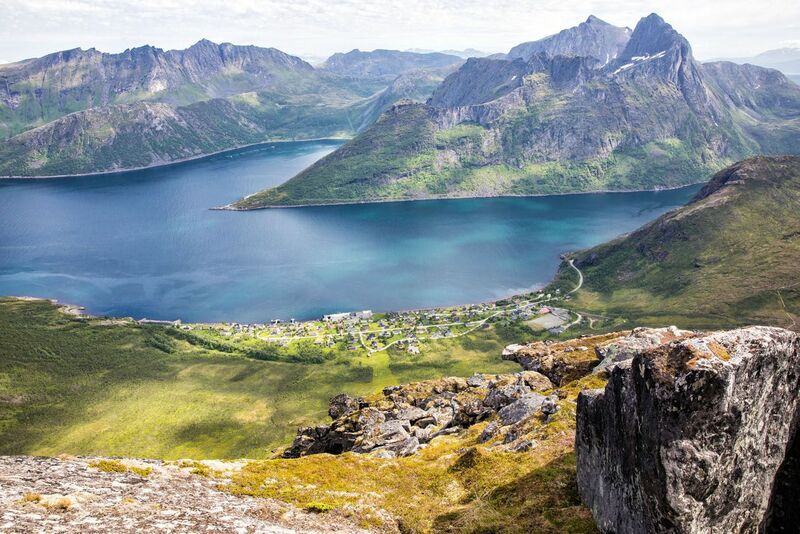 Did the Besseggen Ridge hike last time there. Awesome hike and also Kjerbolten hike. 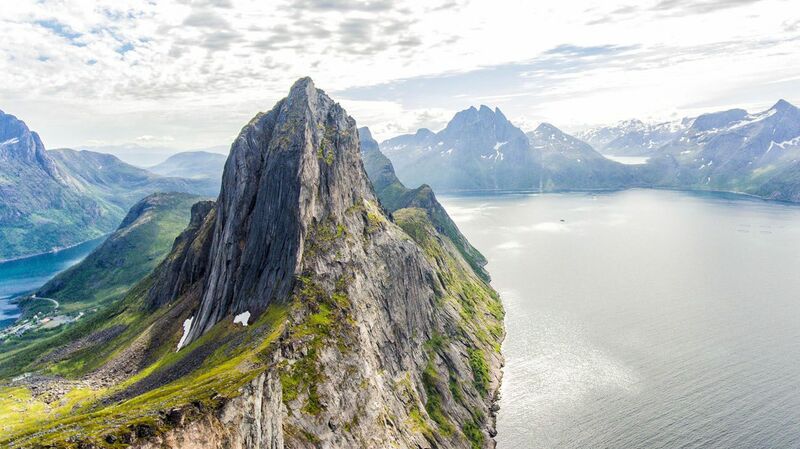 Norway is unsurpassed in rugged beauty! Thanks for sharing. Keep it up, please. I hope to return next year. For a visit to Alaska, better early than later. My first visit to AK was twenty one years ago; and I was there the 4th time last year. The striking difference was the glaciers there were receding at astounding pace; or had simply disappeared! One example: I visited Glacier Bay National Park the first time during my most recent trip. To my dismay, I only saw a few small glaciers there; yet Glacier Bay got its original fame because of its numerous, massive glaciers around that area. Questions: 1. What was condition of the trail to Reinebingen when you were there? Someone said it was closed due to its dangerous condition. Anyway, the trail is probably not the right one for me, an acrophobic, after reading many comments online about the trail. 2. Is the trail to Ryten also narrow and airy? 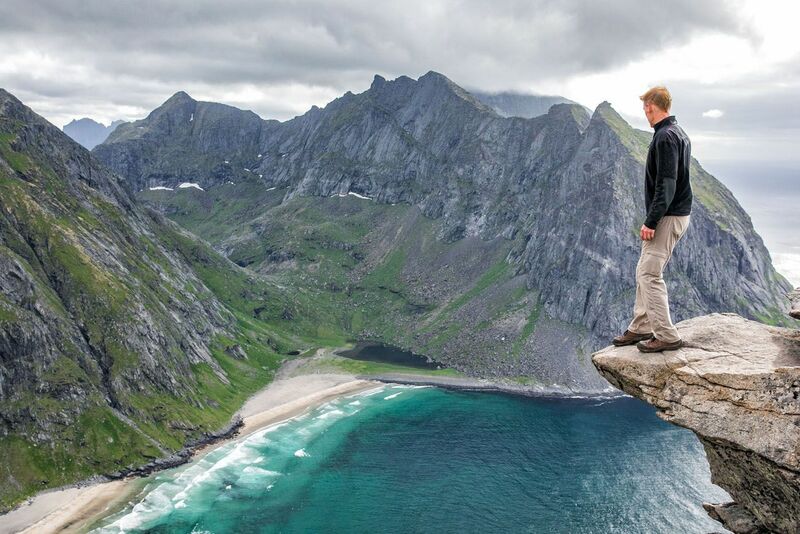 It’s maybe ok if I stay away from the edge on the top by using your photo as a reference. Thank you for much for sharing your experience and love you guys! 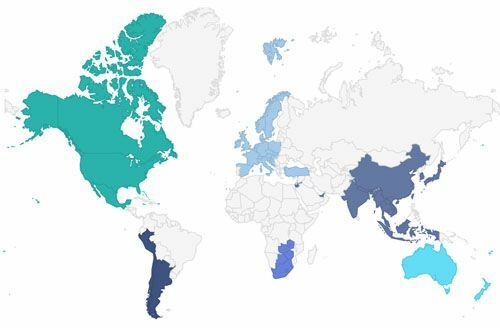 Thanks a lot for your answers and suggestions! 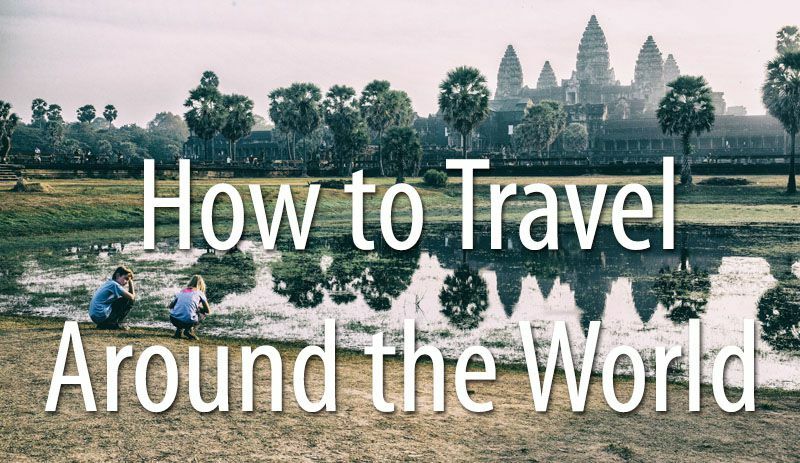 Just out of curiosity, why you never mention Alaska as a travel destination? AK is actually my favorite; there’s so much to see, and to experience! 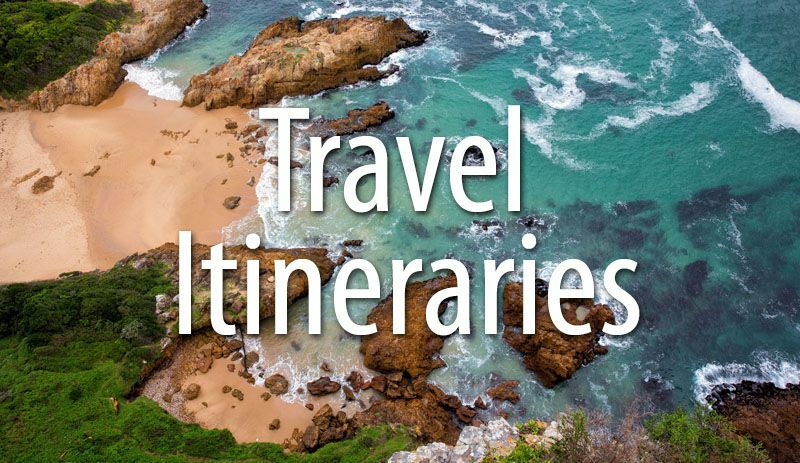 One way cruise ship plus a drive into the interior would be a perfect trip for me.